After your ZipWall® barrier is in place, use the FoamRail™ Cross Bars to tightly seal along ceilings, floors or walls without using ladders or tape. 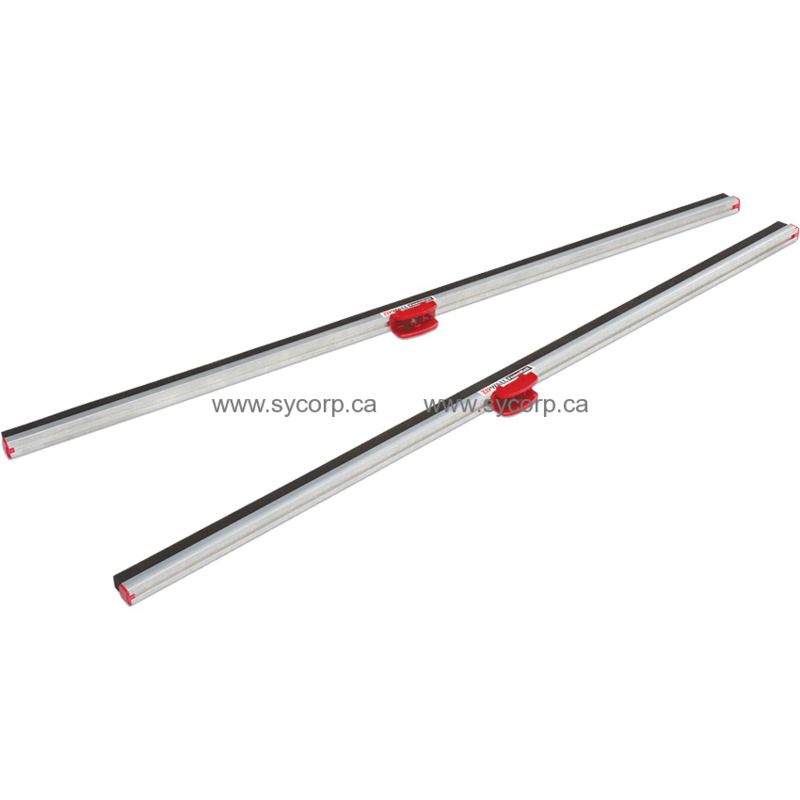 They easily snap on to all ZipWall® poles and SideClamp™ wall mounts. Once attached, they push the barrier against the ceiling, floor or wall creating a tight seal. FoamRail™ Cross Bars 2-Pack contains two 4’ aluminum FoamRail™ cross bars and two T-Clip™ attachments. Does not include poles or wall mounts. Snap a T-Clip™ on to the FoamRail™ and then snap the FoamRail™ to any ZipWall® pole or SideClamp™ wall mount to form a tight seal at the ceiling, floor or wall. Dimensions: 51" x 4" x 2"